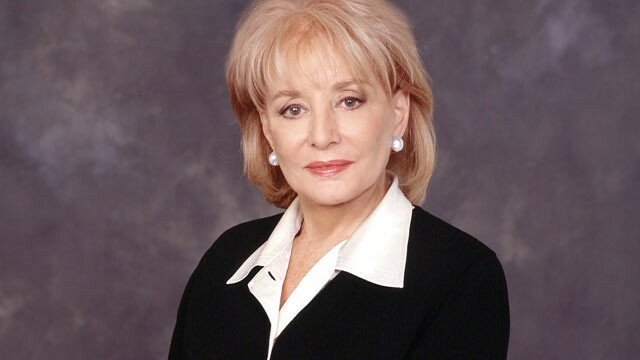 I grew up idolizing both Barbara Walters and Mary Richards. I moved to a big city, became a journalist, and lived the better part of last decade as a single, independent, successful (if I do say so) career woman. I don’t think this is a coincidence. I think it’s the power of great role models. Of course, one of them is real, and one is the fictional lead of The Mary Tyler Moore Show. But having written a whole book about that show, I often find myself wondering what Mary would be up to right now if she were real. The fun of the game is that my own imagination can choose whatever it wants, and what it chooses mirrors what I really want to be like in 10, 20, 30, or 40 years. As Barbara Walters announced her retirement this week, I knew: This was Mary’s retirement. This is exactly what she would be doing right now after a long, groundbreaking career. She’d be signing off her successful talk show, leaving it in the care of her hand-picked co-hosts. What’s astounding about Walters’ career is that, between her and Mary, she’s the real one — and yet she also did everything Mary did, but years earlier. She came up through the secretarial pool behind the network news scenes, just like Mary, and eventually broke through the male-dominated newsroom, just like Mary did. She then became a writer and segment producer (like Mary) doing “women’s interest” segments on the Today show. Soon she was on the air, which I believe was only a matter of time for Ms. Richards. She scaled great heights from there, becoming the show’s first female co-host, then nightly news’ first female co-anchor on ABC. I encountered Walters in the ’80s through her riveting interview specials with celebrities and heads of state alike. I fell in love with her ability to coax a story from anyone. I studied her tactics. You don’t ask people, “Why are you crazy?” you ask them, “What is your response to critics who say you’re a little eccentric?” Sometimes, you soften the blow they know is coming: “A lot of people are wondering about your divorce, of course, so I have to ask: What happened?” Other times you rip the band-aid off: “Did you sleep with the president, or not?” I use many of her tricks to this day (though I have never asked anyone what kind of tree he or she would like to be). She made me want to tell people’s stories, and doing emotional interviews became one of my specialties at Entertainment Weekly, which made me proud. I learned to make people comfortable, while still maintaining my journalistic integrity, by watching Walters. I also learned that “female” doesn’t, and shouldn’t, mean “not serious.” Because she was a woman, but a pioneering one, she managed to mix traditionally “female” topics — celebrity, fashion, feelings — and “male” ones — politics, war. This eventually led to one of the most innovative shows on television — yeah, really — The View. For 16 years now, her daytime talk show has mixed co-hosts of various races, backgrounds, political affiliations, and ages to discuss everything from reality TV to presidential elections. It’s become a must-visit show for both starlets and political candidates. And the show has one unifying message: Women’s voices matter. We’ll miss you, Barbara. Thanks for making the world safe for Mary Richards, me, and all the women like us.